Well, before you beat yourself up too much, have a look at this thread. There have been several of us who have had the same wire at the firewall connector break, and that is all it is. It is most likely not the sensor itself. I had that same code on and off for about a month. Finally found the wire broken internally right where it is pictured in that thread. Good luck. Recently had my engine rebuilt, decided to keep the original cam and crankshaft position sensors. They seem to be doing their jobs just fine so far. Ain't broke, don't fix it. But since you have the code, definately something's up. Check the wiring as Larry said, maybe that's all it is. Not sure. My friend had a whole box of them, and a tool to back it out of the firewall connector. I think you will be able to reuse the one you have, including the rubber seal. an nut or bolt... or is it just clipped on? There is a front plastic cover that simply clips on. 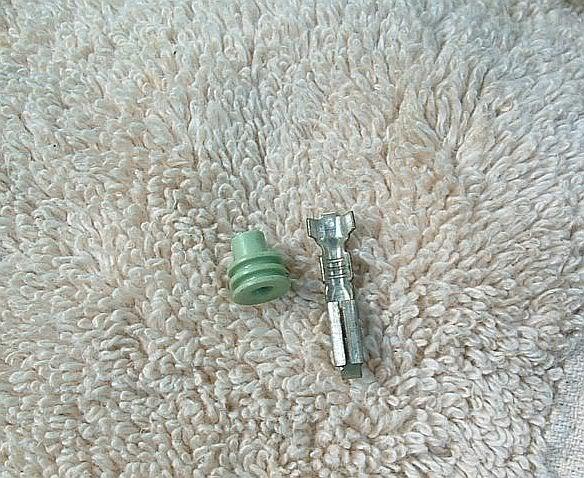 Then dead center is a small bolt (counter sunk in the hole) It's small, 10mm or smaller, I forget. Then the front half comes apart from the rear. Well I got that apart... but cant find any broken wires??? Mine didn't look broken either, but I could watch the cam sensor signal go in and out (on the Genesis Tech2 scan tool) as I wiggled that black wire. Every thing looks nice and secure? Like to give a big thanks to you guys. Was looking to buy a 98 with a cam sensor code. Bought it and took a couple minutes when we got home and found the broken wire. I was able to get the stuff from work and fixed it for free. Now the wife has a car i trust. 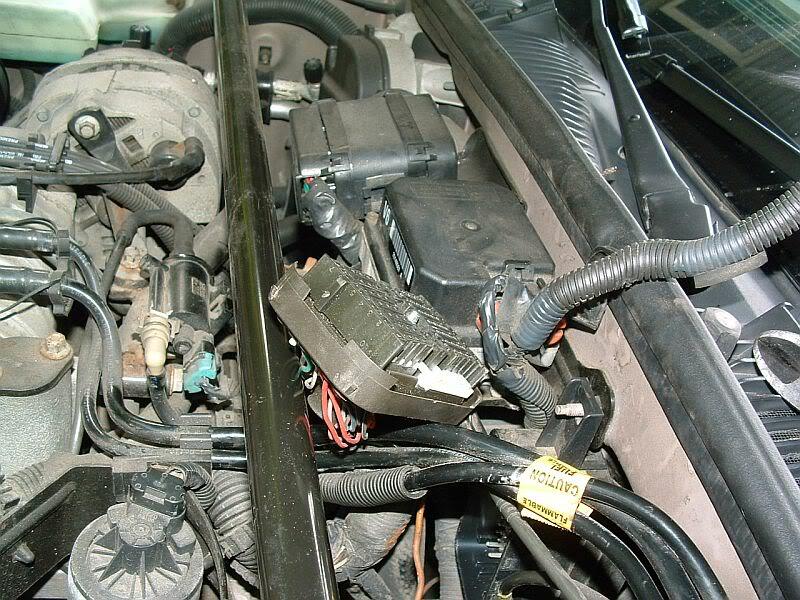 would this wiring issue apply to the 1990 as well? i have the service engine soon light on with 53k and the scan showed this to be the issue-just wanted to be sure this wiring issue isn't the problem before replacing the sensor. thanks. well i replaced the sensor and the light is still on. but the pics in this topic look different on my 90 3800...i guess i'll read through it again and see if i can figure anything out-thanks. 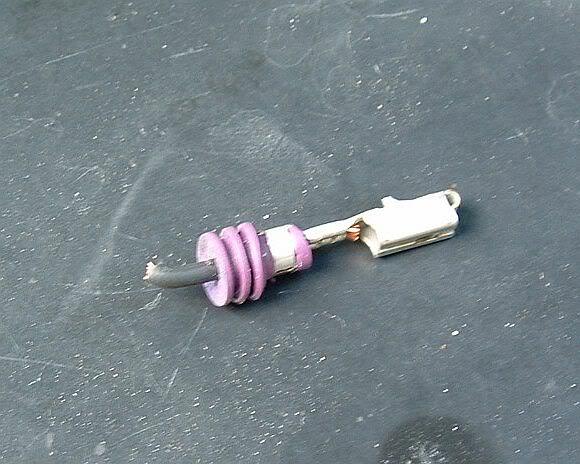 were you told to check the wiring before replacing the sensor... ? no i replaced the sensor first-i'm checking the wires tomorrow. if i find a bad wire, i'll just put the old sensor back on then return the new one. but i wasn't sure the wire problem applies to the previous generation 3800 that i have-1990-everyone on this topic seemed to only talk about the last generation with the 3800 series 2. I have had the P0341 for 6 months now. I got it maybe a month after doing the water pump. This is what i have done so far. Tried two different cam sensor and different ignition coils from the junk yard. Changed all new spark plugs. 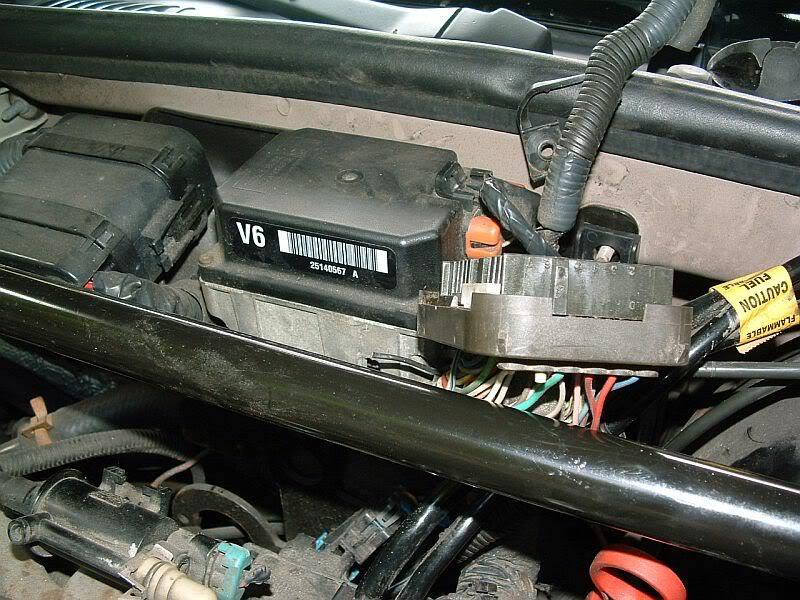 Check spark plug wires. Check the wiring at the firewall for any broken wires. Rotated the fly wheel to see if the magnet is still there and it is. I have to smog check in 3 weeks. What else can i do? I bet that wire at the firewall is your problem. It can look OK from the outside, but inside, it's bad. Find some one with a Tech2 type scan tool. You can monitor the cam sensor signal with that tool. That is what I did, and when we wiggled the wire, you could see the the signal drop out. OK, my check engine light came on in my 98 Riviera 236,000 miles. I have had some stalling issues for a few months that I thought I had resolved with a new IAC sensor. Code P0341 cam position sensor, installed a new one, still set the code. Magnet looked perfect, no play in timing chain. So I read through some of this thread and was about to replace the camshaft sensor magnet because I thought it lost most of its magnetic strength. I reread all 9 pages of this thread which took a while and saw the last part about the mysterious black wire in the corner of the junction block at the firewall. I really did not want to remove the engine front cover and thought I would rule out the wire issue so I removed the junction block, looked at the corner wire, no problems, wire was intact. Flipped it around to the other side and sure enough, the black corner wire was broken off. Soldered in a jumper wire and reassembled and the problem is fixed! Just wanted to say you guys are geniuses, thank you! I'm having the same P0341 issue with our 95 SC. I replaced the camshaft position sensor first because it is cheap ($40) and easy, but like everyone else observed this did not fix the issue. In my case the car went from fine to broken in just a day. Although it has been hard starting (not hard to start, but for the first few RPM seemed misfire/stumble then even out) for over a year now and no one has been able to tell why. This past weekend my son had driven it 3 hours home from school without any issue. Then we drove it around town a few times over the next couple days with no problems. Then I took it to work which is a 1 hour highway drive, and I noticed immediately that it didn't seem to have the power it normally had when trying to accelerate onto the onramp, although it did get up to 70mph reasonably well. Then on the drive up to work, although it would cruise as 70mph just fine, when I'd try to pass someone and use say 2/3 throttle, the engine would misfire very hard several times before then accelerating, but accelerate weakly. Once I let off the throttle back to just cruising at part throttle, all was good. This is the state it is in now. Other than misfiring on acceleration, the car starts, idles and drives fine albeit with not quite the power it normally seems to have. And when it misfires, the PCM sets the P0341 DTC. So after reading all 9 pages of this thread I'll be checking that notorious black wire in the big through-firewall connector left of the brake booster. Hopefully the 95 wiring in this case is the same as the 96+ cars, and I too have the broken black or similar wire. Since I don't think anyone in this thread had a 95, I'll post what I discover so future 95 owners will know what to expect. My guess is that is what you will find. 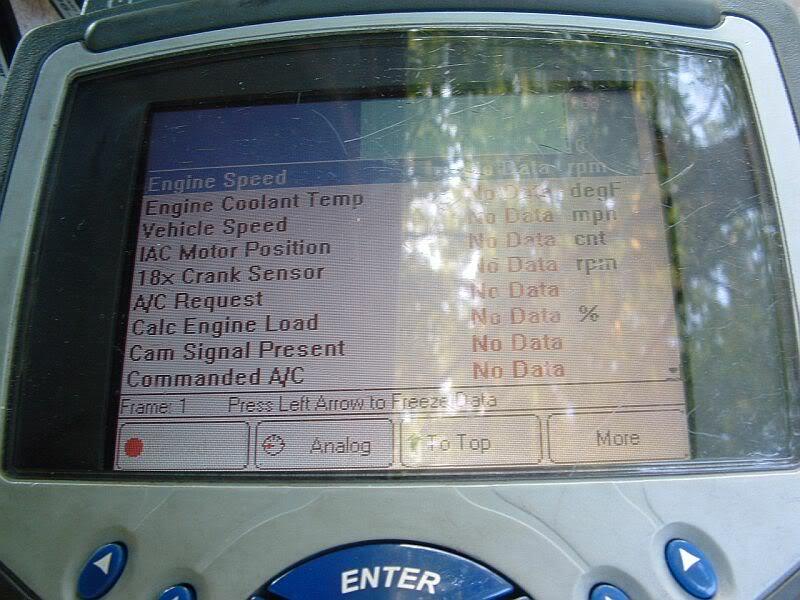 When my 98 had that problem, one of my friends hooked a Tech2 scan tool up and we were able to monitor the sensor value. You could see it drop in and out as you wiggled that wire. Larry is known as the wizard on V8 Buick site u have to be a wizard to find that wire!!!! Wish we had a Tech2 or similar scanner that could monitor that, but alas I do not and am not sure the Tech2 will work on a 1995? We do plan to get a Tech2 in the coming months for our recently acquired 2006 Saab 9-3 Aero, but don't have it yet. Thanks, I plan to start digging this weekend. I'm hoping the 1995 has the same wiring setup and defect. Tech IIs were backward compatible but I forget how far - back to OBD I or ALDL? I really don't remember. Tech Is come up on eBay from time to time for short money. They will work on OBDII as well as OBDI but IIRC aren't as verbose. In order to do that Veetronix tacked on an adapter for each application. So a Tech I fully maintained until the Tech II became generally available, has more than a dozen clickety little parts and adapters. I forget when GM quit issuing adapters.